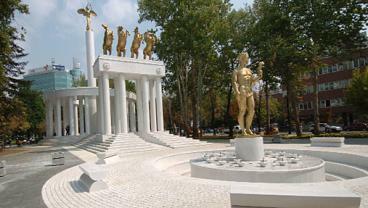 The tour with a local guide starts at 16:00 from the NUTRICON Venue (Museum of Macedonian Struggle). 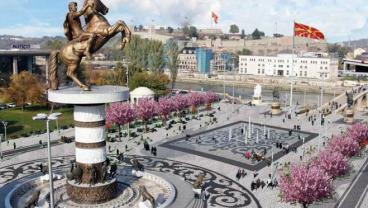 First stop is Karposh square presenting statue of Filip II of Macedonia and nearby fountains and church St. Dimitrija. Behind this square is the Stara Čaršija (Old Bazaar) area which is the biggest and most preserved bazaar in Europe. The bazaar retains the layout and many of the buildings from the Ottomans period like: Kapan Han, Suli Han, and the Kuršumli Han. This Bazaar can be visited individually. Walk continues over Kamen Most (Stone Bridge). 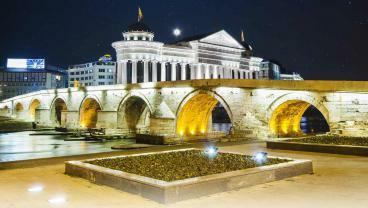 This elegant 13 arches and 214 meters long bridge built in 1451 is spanning Vardar River. The river flows in the heart of Skopje and is also spanned with many other fascinating bridges like Eye Bridge, Art Bridge etc. The city is experiencing urban sprawl with many new developments, which are most visible at the city main square - Macedonia, selected by USA - Travel pulse, as one of the five most attractive in the world. It is a place “must see and experience”. Walk continues through street Macedonia towards Mother Teresa memorial house. Skopje is also internationally famous for being the birthplace of Mother Teresa. There are several landmarks of Mother Teresa in Skopje, including a marker of her birthplace, a statue, and a memorial house. 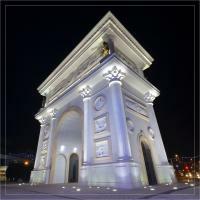 Next stop is the Porta Macedonia (Triumphal Arch), located on Pella Square. The arch is dedicated to 20 years of Macedonian independence and its outer surface is covered in 193 m2 of reliefs carved in marble, depicting scenes from the history of Macedonia. It also contains interior rooms, one of which has a function of state-owned souvenir shop, as well as elevators and stairs providing public access to the roof, allegedly intended as space for weddings. The tour ends at Macedonian Parliament and Woman Park where Monument of Fallen Heroes will be visited. NOTE: If the weather doesn't allow Skopje sighteeing, Conference participants will have opportunity to take free of charge tour throug Museum of Macedonian struggle (venue place, starting at 16.00 h).